From SANDy the Cactus Girl to dessert-loving Donutella, the whole gang will be here! If you had enough sunshine and cuddles from the Care Bears, then walk on the wilder side of life with the various families from the Tokidoki realm! 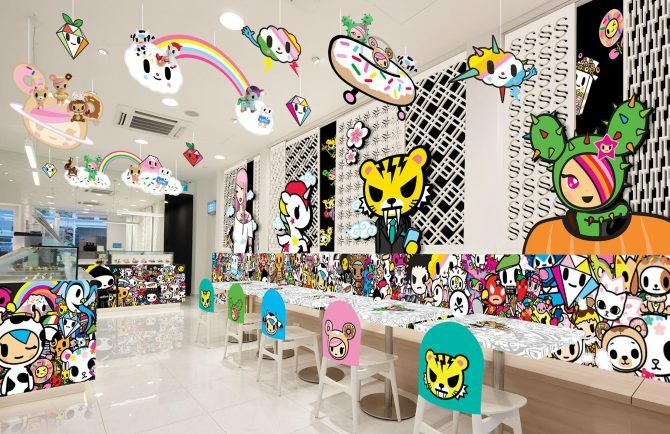 From the interior to the food and drinks, Japanese-French cafe Kumoya is pulling out all the stops to launch the world’s first-ever Tokidoki pop-up cafe e at its Jalan Klapa abode. Unlike its previous cheery and whimsical collaborations as seen from Miffy and Cinnamoroll, the cafe takes on a more urban feel that comes in line with the grunge of skeletal Adios from ‘Til Death Do Us Part and the music-jamming characters from Punkstar. 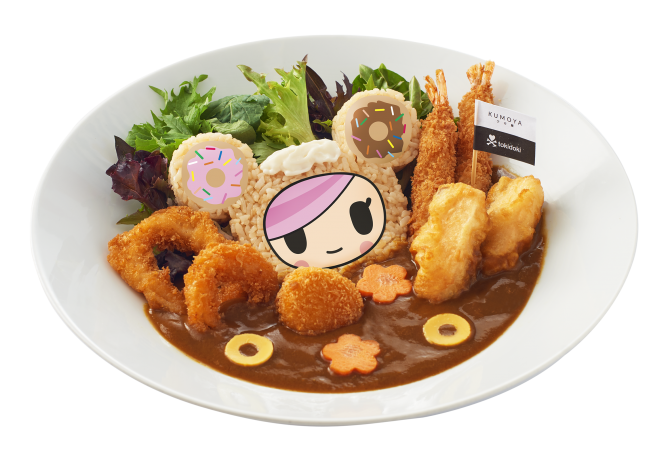 In true Little Miss Bento fashion, food artist Shirley Wong has once more conceptualised the food and drinks to reflect the spirit of the lifestyle brand. We’re looking at motif-printed buns, candy floss blooms and rice patties moulded after some of these adorable characters. We heard you can even bring home a mini Donutella float with every purchase of an icy frappe! The pop-up cafe will run from 29 March to 30 June 2018. But if you’re a die-hard fan of the brand, you’d best be heading down on the first day as its co-founder and chief creative Somone Legno will be there to officiate the opening launch! After which, there’ll be a fan signing session.